September 30, 2015 September 30, 2015 daencLeave a Comment on What’s Good at Parkwood? 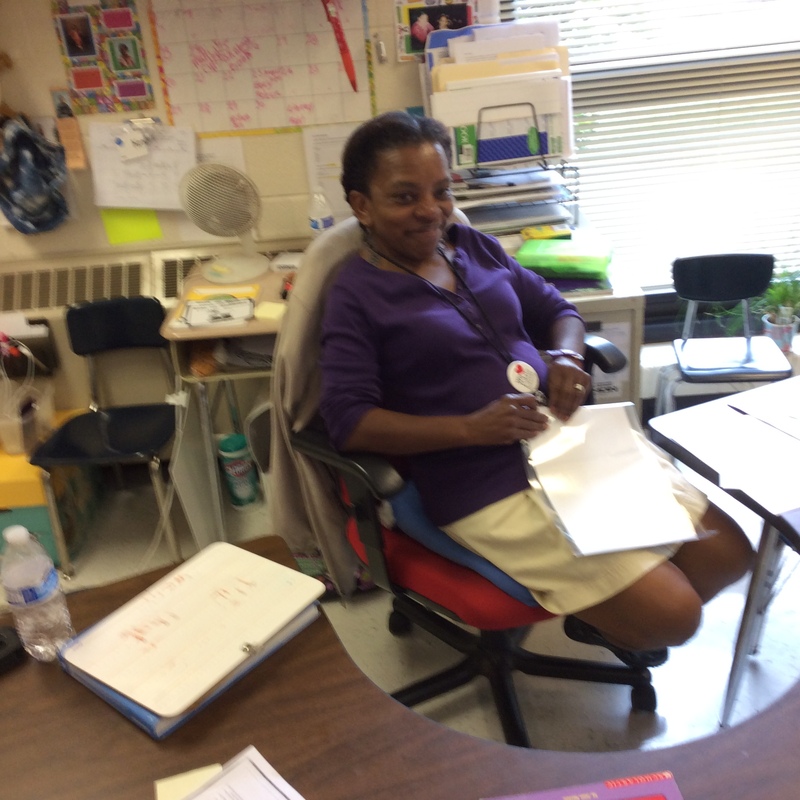 I’ve had hundreds of conversations with faculty, staff, students, and parents at schools over the first 6 weeks of school, and I had never heard the word magic until Parkwood Elementary Principal Michelle Bell used it to describe the classroom of Sandra Sandiford. Having been in public schools for 30 of my 36 years on this planet, I relished the opportunity to see something I’d never seen before, so Mr. Cason and I hurried down to Sandiford’s room so that we could check things out as the school conducted its lockdown drill. 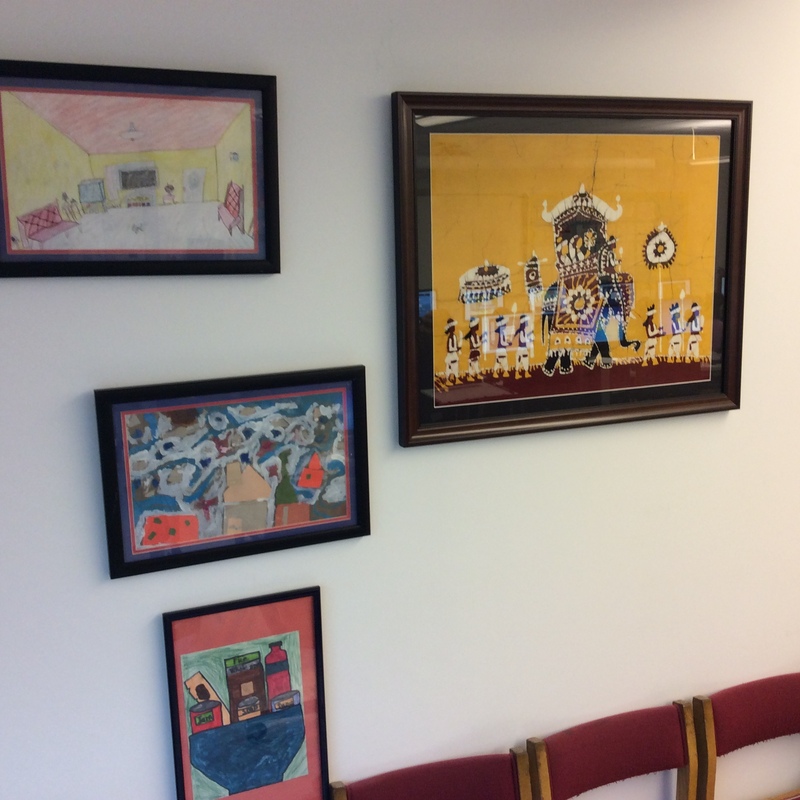 And while it’s not uncommon for he and I to share looks of disbelief about the cool things that we’re seeing in Durham’s public schools, both of our minds were completely blown by the experience in her classroom. There, for 15 minutes, a group of 20 or more 10 and 11-year-olds sat in absolute silence in the corner of the room as security checked the building. They didn’t tease or poke each other. They didn’t giggle. They didn’t talk or shush one another. They just sat there, not in a we’re-scared-of-this-Viola-Swamp-type-of-teacher silence, but a we-trust-this-woman-with-our-whole-lives-and-she’s-asked-us-to-do-something silence. It was unlike anything either of us had ever seen. 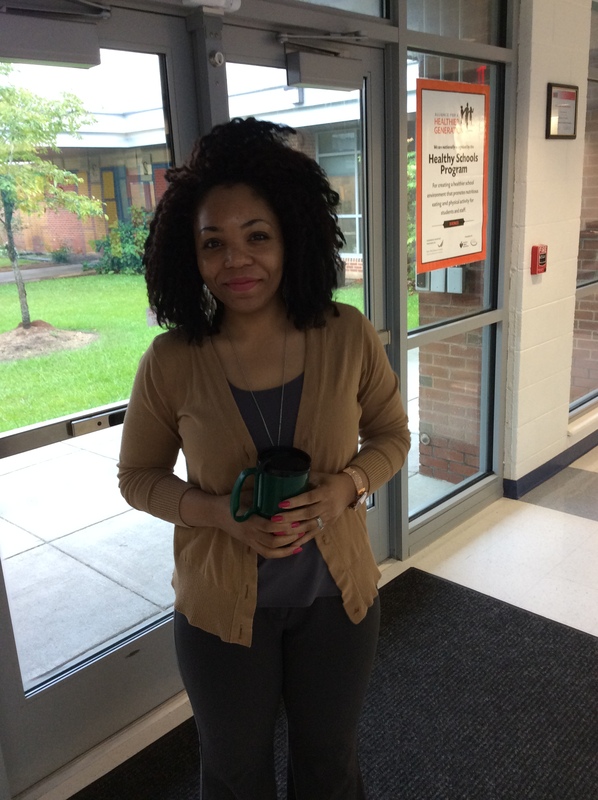 After Sandiford went to check on the younger teachers on her grade-level team (“her babies” as she called them), we got a chance to speak with her, and it was abundantly clear why her students trust her so profoundly. In her 28th year in the classroom, Sandiford exudes a commitment to public education that is well-tested, and she shed tears of joy when she talked about the fulfillment that she has found at Parkwood. “I am able to teach,” she offered boldly and pointedly before naming the close knit family at the school and the administration specifically as the sources of this freedom. 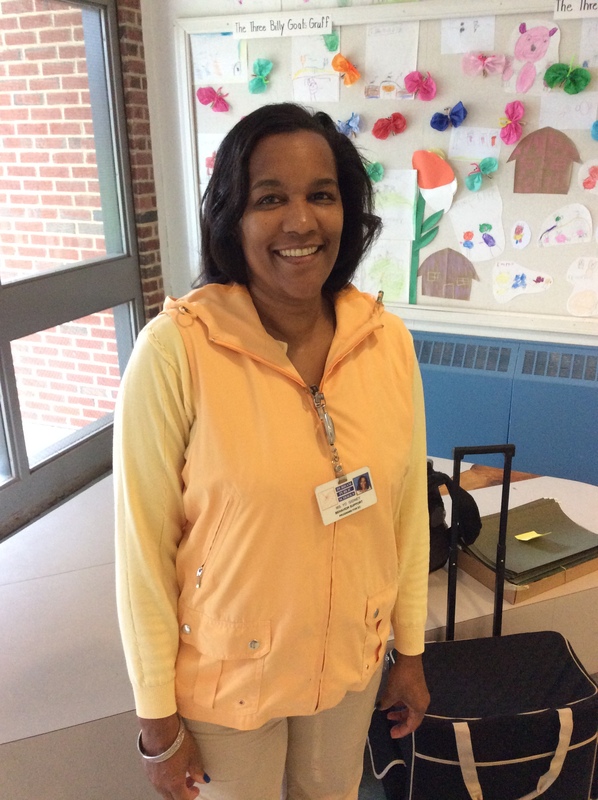 “As a veteran teacher, it’s important to know that I still have needs and that they are being met.” Sandiford said that she feels “seen” and “alive” and able to “be who I am as a teacher” at the school. Every bit of these sentiments showed up on her face, and the energy that Bell referred to was evident. She loves teaching and she loves her students. And they love her back and learn better because of it. It turns out that it’s not magic after all, it’s just what teaching and learning look like when we keep joy and love at the center of the process. Thank you for reminding us Ms. Sandiford. Thank you. And more importantly, thank you to the whole Parkwood staff for reminding us all day long. Our day started off with a conversation with Pre-K Instructional Assistant Mary Atkins. While she told us about the friendly welcome that the Pre-K students have gotten in their first year at the school, her co-workers walked by and, one-by-one, raved about how wonderful Atkins was and made sure that we included that in the story. 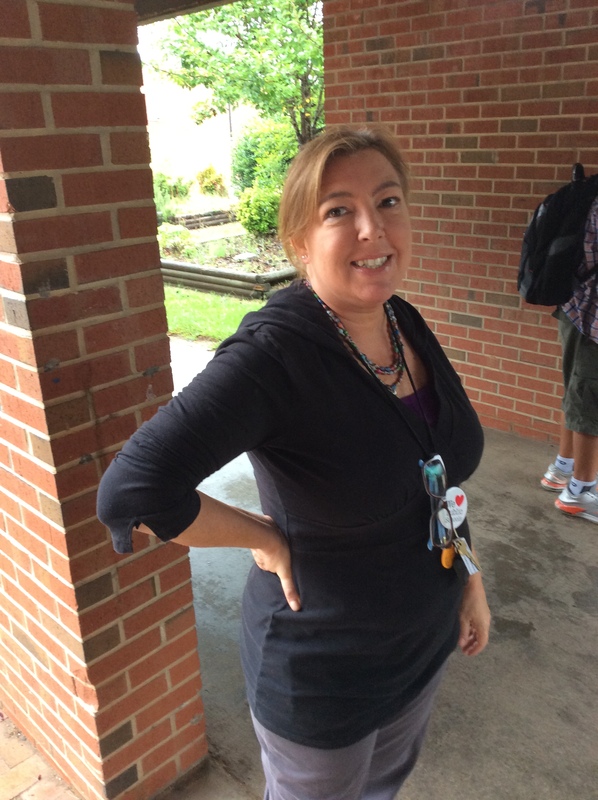 Throughout the day, her beaming smile served as a reminder of the joy that bounces around Parkwood’s hallways. 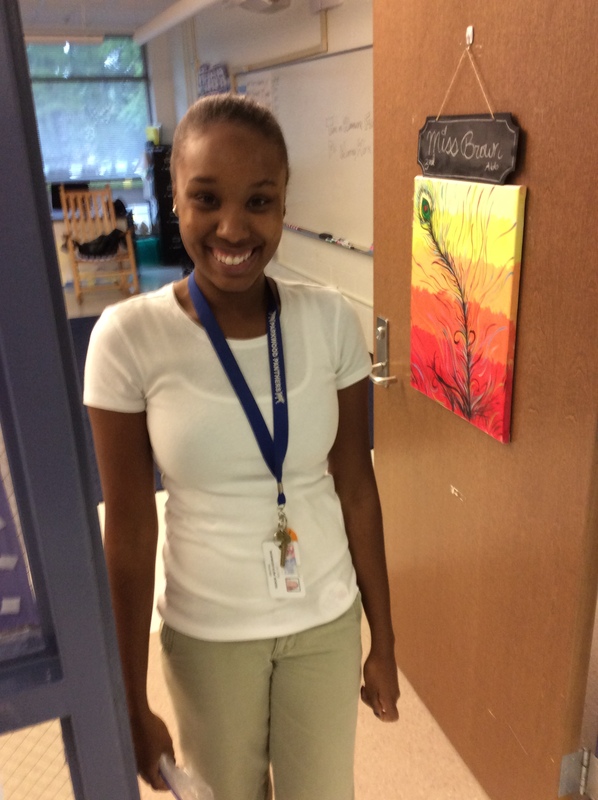 In only her second day in the school, Behavior Specialist Yo Gidney is already adding to the joy in Parkwood’s halls. She’s “found her happiness, and it’s not in a paycheck,” she offered, saying that working with kids has been her passion for her whole life. 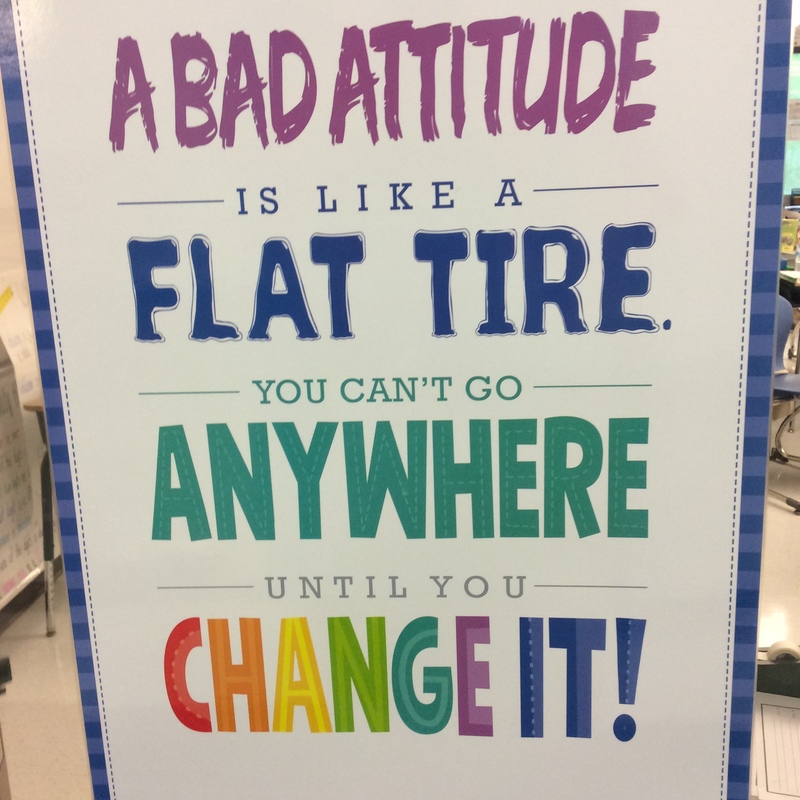 When we asked Counselor Krystal Brothers about the good things at Parkwood, she said, “oh, there are so many!” Chief among them was the happy atmosphere at the school. She’s received lots of support from staff, administration, and parents, and when she talked about the “sweet, well-mannered” kids at the school, she smiled brightly. 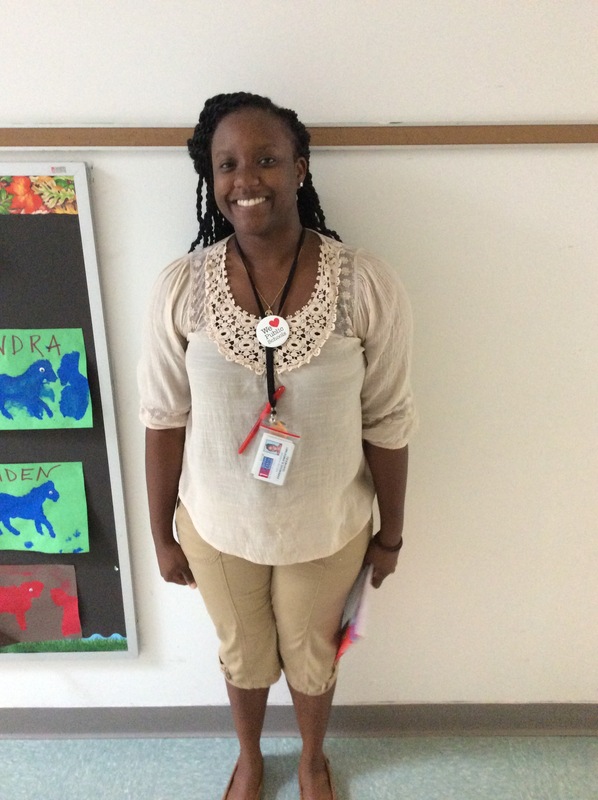 For 3rd grade Teacher Trenise Brown, love is at the center of the way that she describes the school too. The love that she gets from her kids shows up in daily hugs from both her current and former students, and it’s clear that her love-meter stays high. 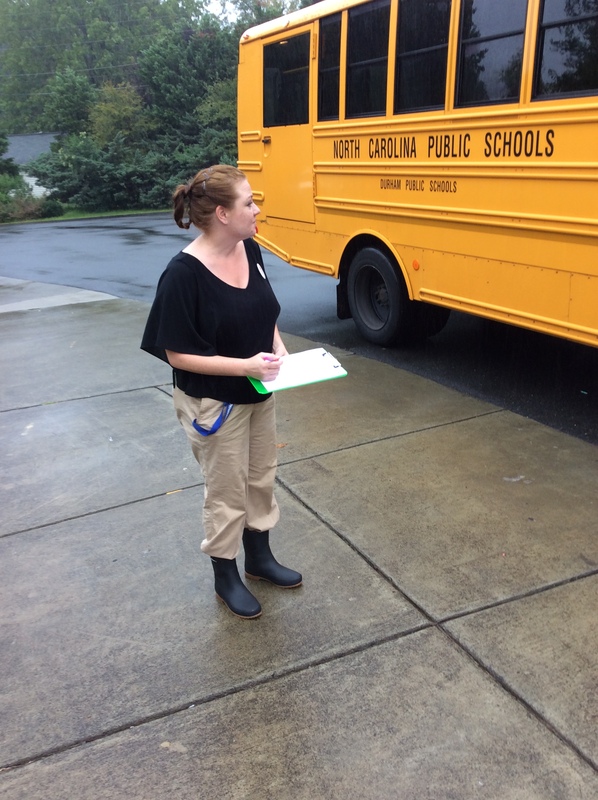 We caught Tisha Limmer at bus duty and she offered that, “It’s important to love what you do. 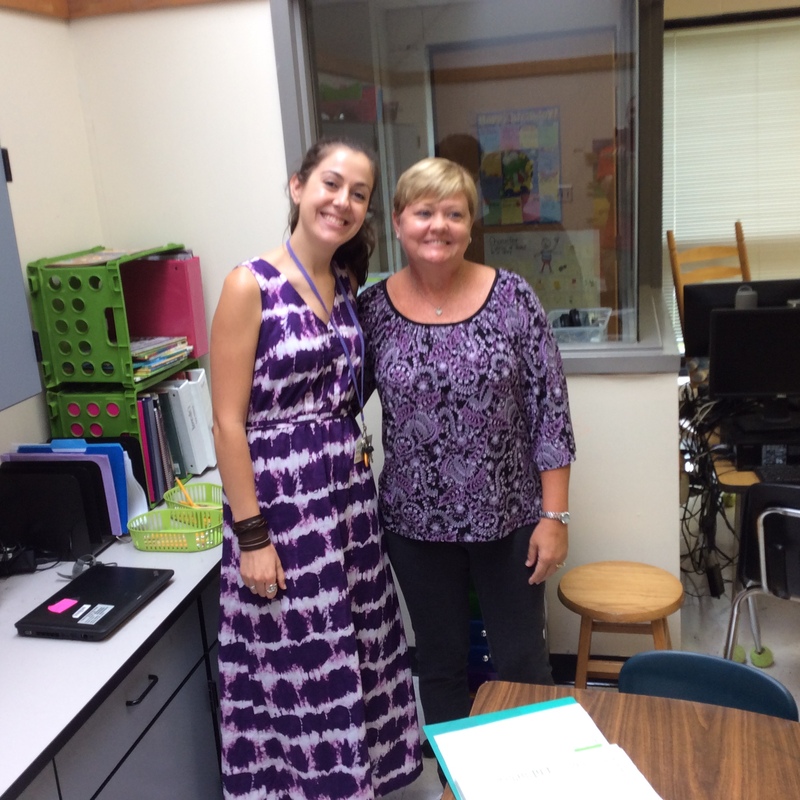 I love what I do, and I’m happy.” In her 20th year as an Instructional Assistant, she spoke with great pride and love for her students and their communities. 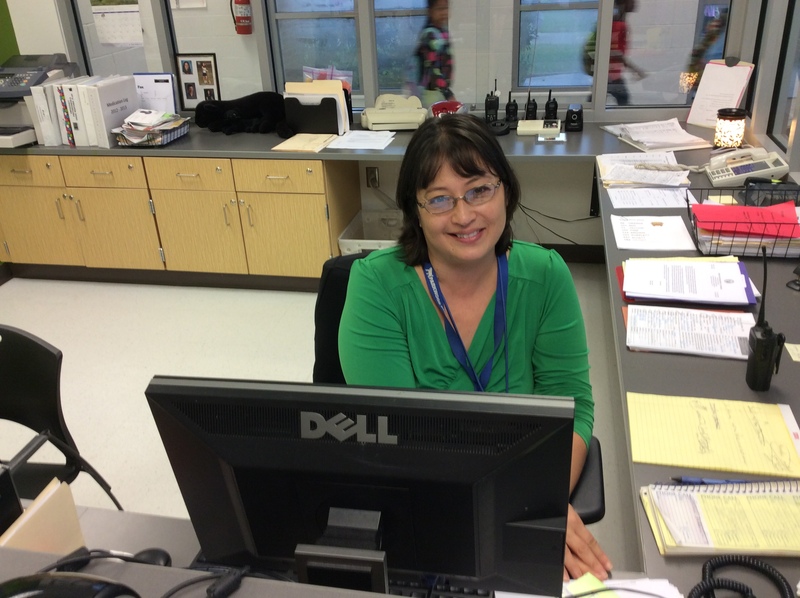 Sheri Metzger is the school’s Secretary/Volunteer Coordinator/Part-Time Nurse (we joke about it, but we always actually mean it when we say that the front office staff runs the whole building). 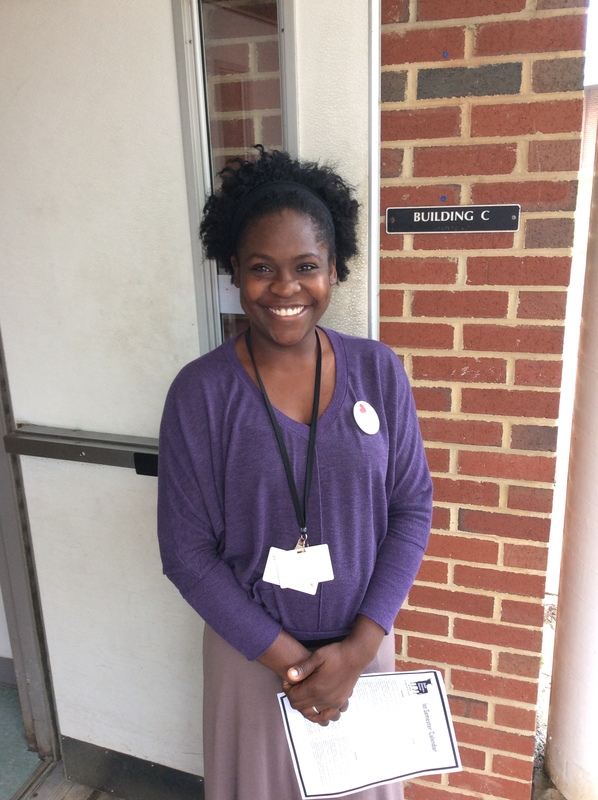 She used the word love as well, saying that she loves working with teachers and kids at Parkwood, and they make the school a fun place to be. All Playworks coordinator Dillon Brown does is have fun. 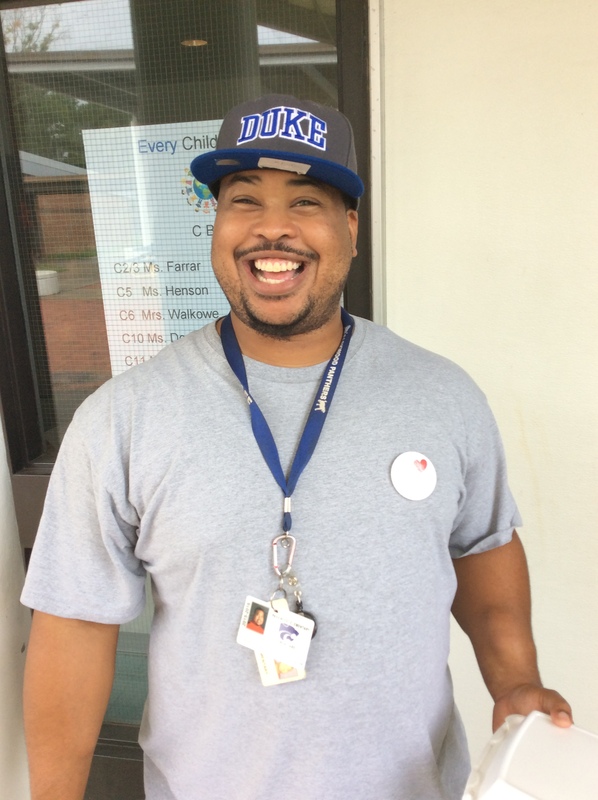 He’s in his first year working with Parkwood kids, and he loves that his job providing meaningful physical education for children mostly feels like he just gets to play games with kids all day. EC Teacher Fred Feely also clearly has a lot of fun at Parkwood, and he mentioned the “excellent community outreach structure” as a high point for him. 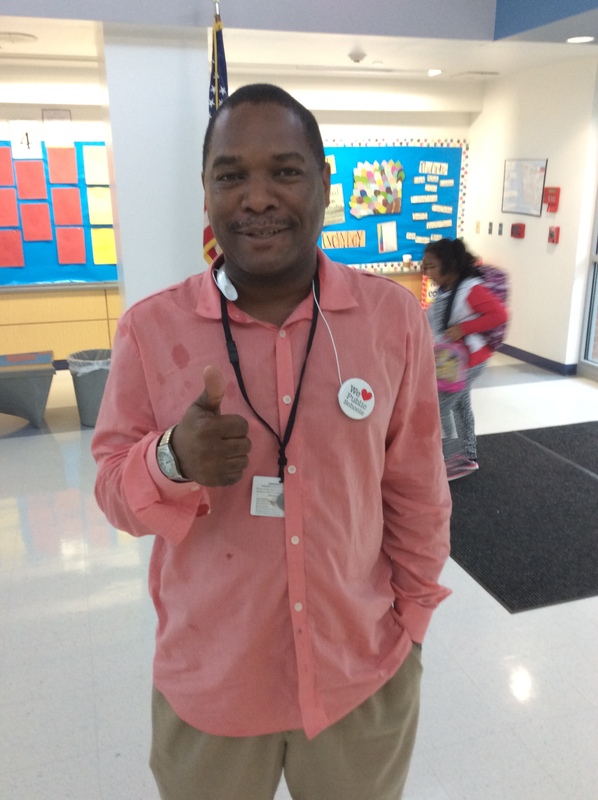 In his work with autistic students, he regularly interacts with a variety of businesses and agencies that provide support for the students in addition to all of the school-based resources. 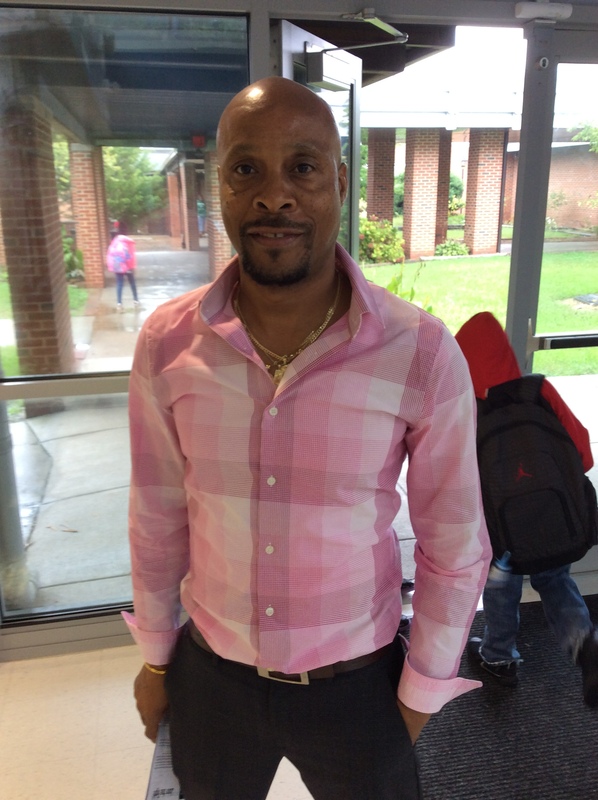 His students “deserve the best,” and he’s clearly committed to providing it. 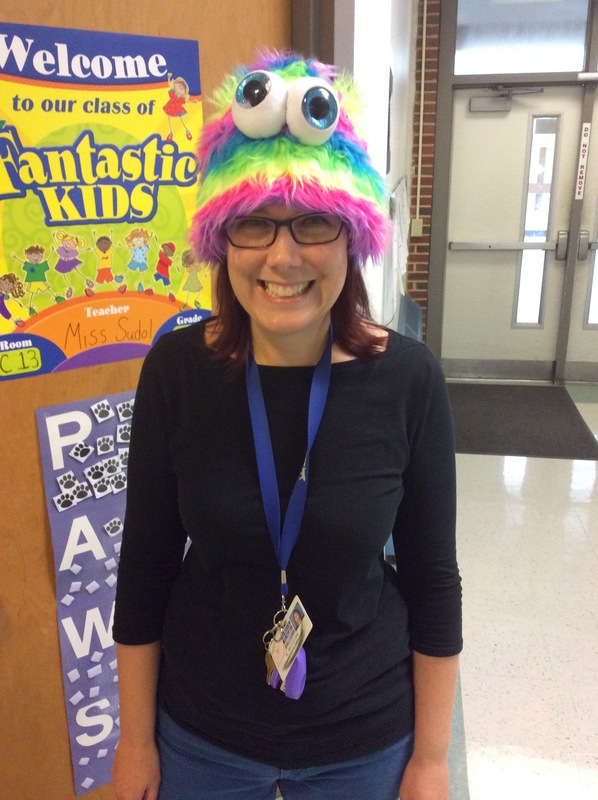 According to Kindergarten Instructional Assistant Gerty Mitchell, the whole staff carries this kind of commitment. She’s only been at the school since May, but has been consistently impressed with the consistency and work ethic of her colleagues. Kelcie Farrar is also relatively new to the school, and she spoke about the overwhelming amount of support that she has received from her co-workers as she’s moved from an Instructional Assistant position to certified Teacher in the K-2 Autistic classroom. 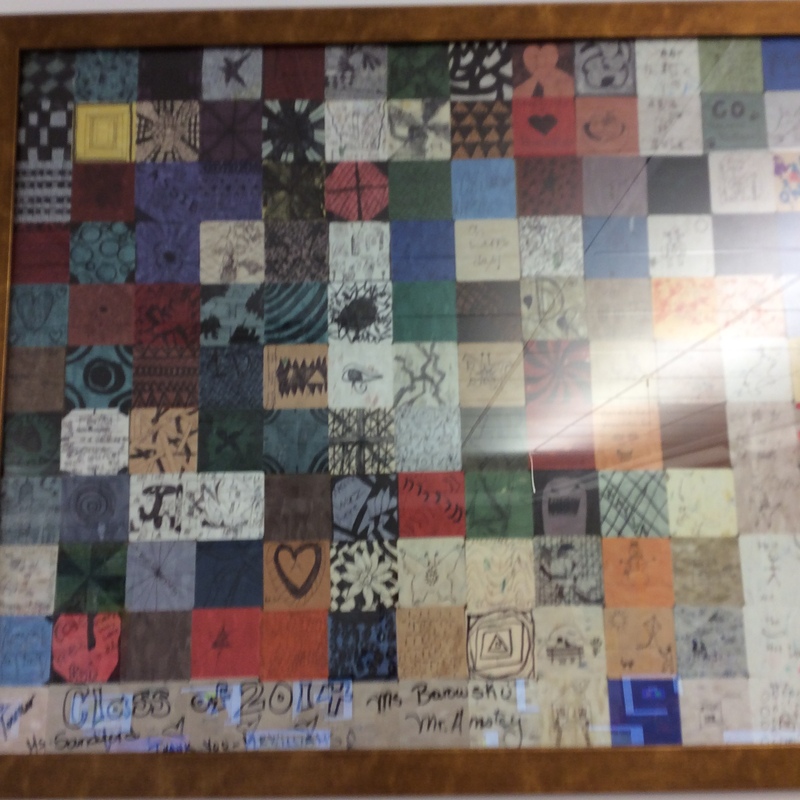 Art Teacher Nancy Coyne has been at the school for 12 years, and co-signed on Farrar’s assessment of the staff, calling her co-workers a family. “We always have each other’s backs,” she offered. Always having each other’s backs is part of the “being about it” that Music Teacher and Reading Interventionist Lloyd Askew mentioned when he talked about the great working environment at the school. 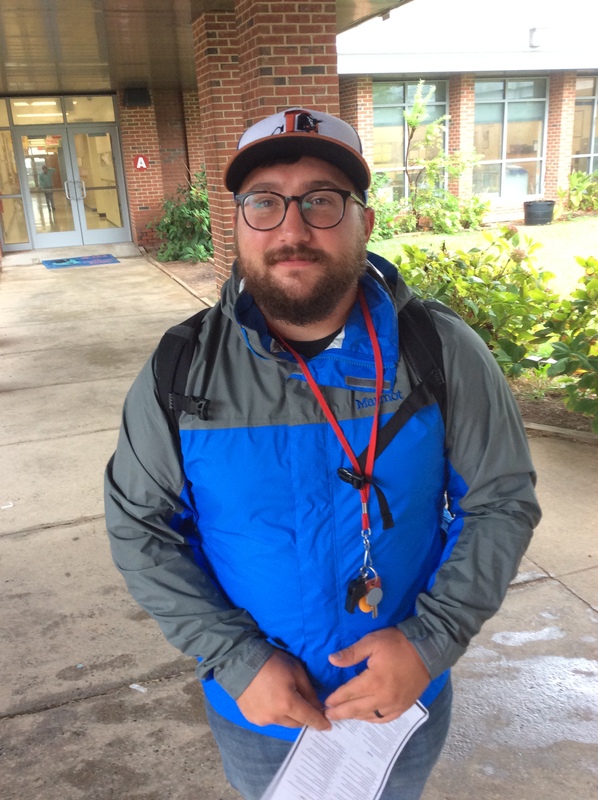 Not only did we get to watch him work with his kids, but Mr. Cason beat-boxed along as we heard the Panther Rap that Askew pushed out through the school’s PA at the start of the day. Parkwood’s day begins this way every morning, and Askew made sure I had the lyrics to share here. The students and teachers all know this creed, and it sets the tone for their daily time together. Safety is the final golden rule, staying out of trouble you’ll never catch who?, following instructions is so cool, so watch me practice in my school. After the announcements and rap, we got a chance to sit down with Principal Bell, who’s been at the school for 3 years and modeled the kind of reflective leadership that the best school administrators always have. When she started teaching, she was schooled in the “don’t smile until December” method until she realized that her tough demeanor was damaging her relationships with kids and keeping them from learning as much as they could. From there, she always aimed to hold a high bar for her students, but also worked to understand the complicated lives that they brought into the classroom. At Parkwood, that has translated into a commitment to meeting students’ needs far past the curriculum. “Our kids want to be loved and fed, and not just by food. We owe it to them to give them a fighting start.” On the “food” end of the spectrum, the school has an emergency pantry, is working to set up a community kitchen for snow days, sends home food with students for the weekend, is trying to set up a summer outreach program, and gives away backpacks and school supplies. The school’s motto, “Every Day, Every Child,” according to Bell, includes Saturdays and Sundays, and the school sees it as part of its mission to ensure that neither students nor their families ever go hungry. On the “love” end, Bell talked about all of the nurturing that the staff provides that gets returned by the kids in the form of hugs and hard work. This approach to school leadership is provocative and served as one more indication that Bell is growing in the same ways that she asks of her students and staff. Her candor and willingness to discuss her efforts to improve as a leader were so impressive that I, once again, got so caught up in the conversation and forgot to take a picture of a school’s Principal. Sorry Ms. Bell. I did, however, get a picture of Bill Williams in his computer lab. The Parkwood wizardry showed up again here, as a class full of kindergarteners walked in and got to work on their computer programs without any direction from the teacher. 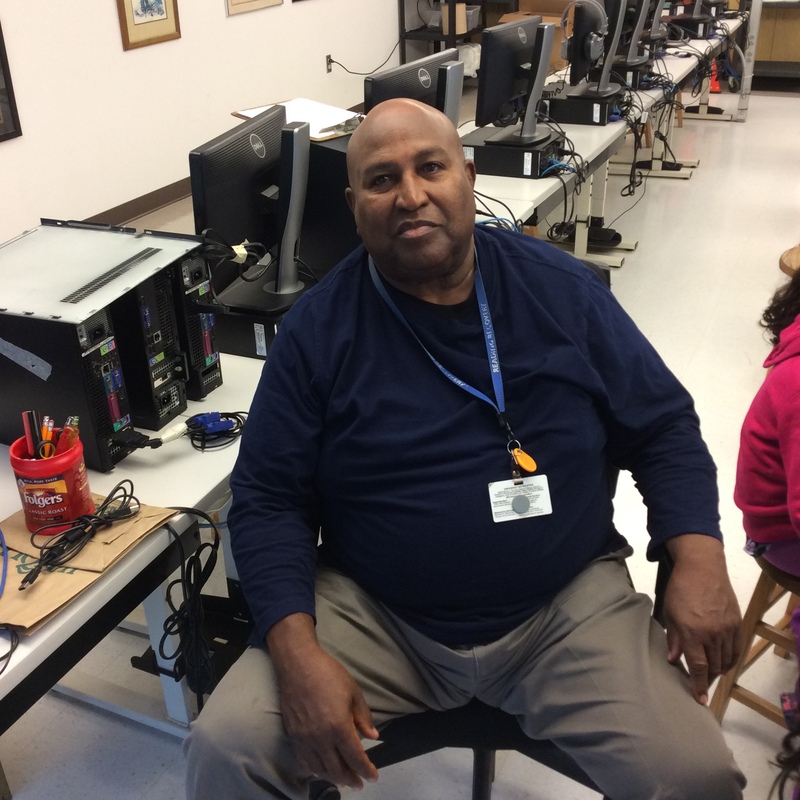 Williams loves teaching technology at the school because he believes it allows important opportunities for students who don’t have as much access at home. 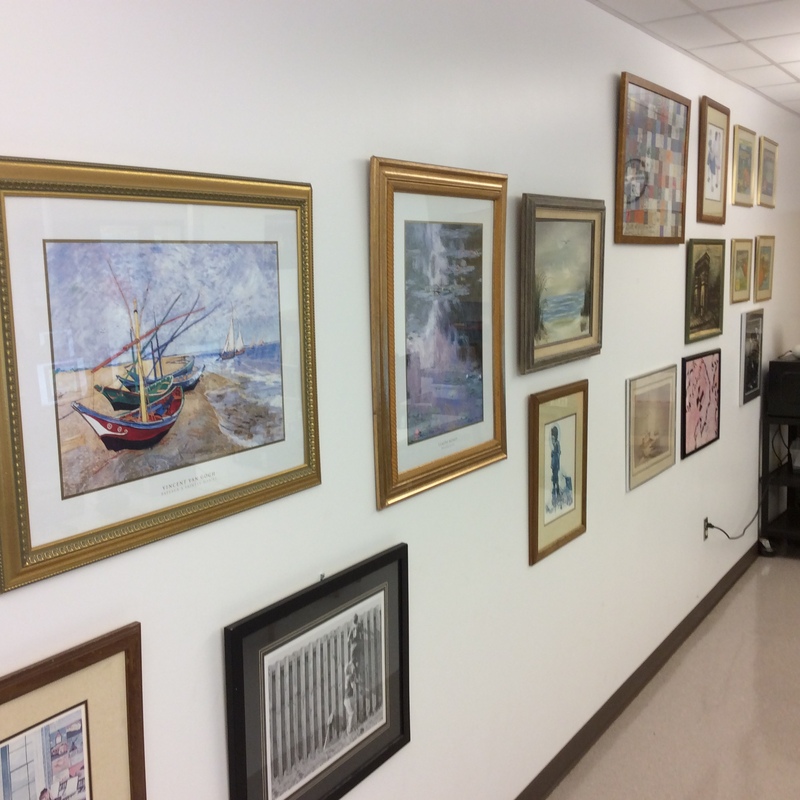 Access to information, for Williams, is key, and his walls are filled with art that he has collected in hopes of exposing students to new ideas and new ways of learning. 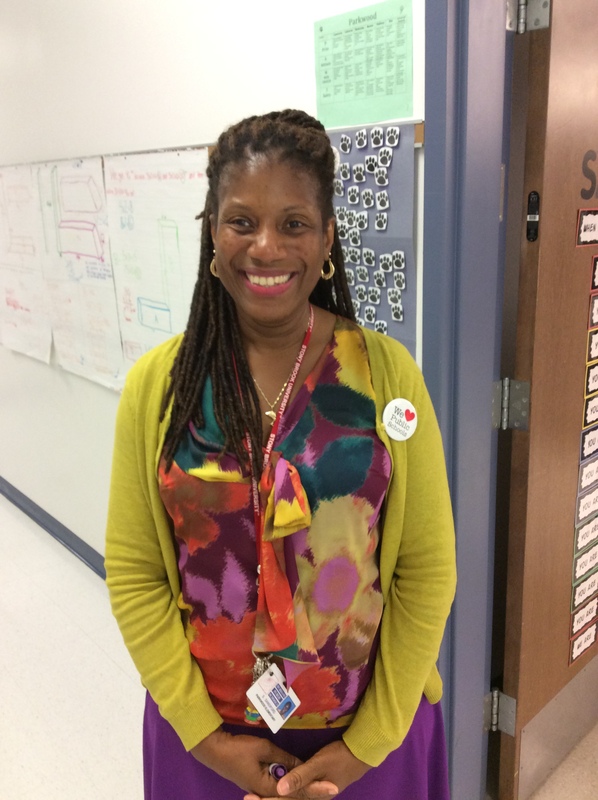 Kindergarten Teacher Janetha Kendall-Zachary enjoys watching students evolve. In her 22nd year in the classroom, Kendall-Zachary loves observing the ways that students leave her class after their first year in school. It’s “hard at the beginning of the year,” she suggested, though her classes already looked like they were about the work of growing. Danielle Beneville and Kelly Ferrell also work in Parkwood’s Kindergarten, and also talked about how cool it is to watch little humans grow. Students come to them without the ability to spell their own names and leave able to read. “They get so excited!” remarked Beneville, and both of these educators were excited too as they discussed the love they have for their co-workers and students. 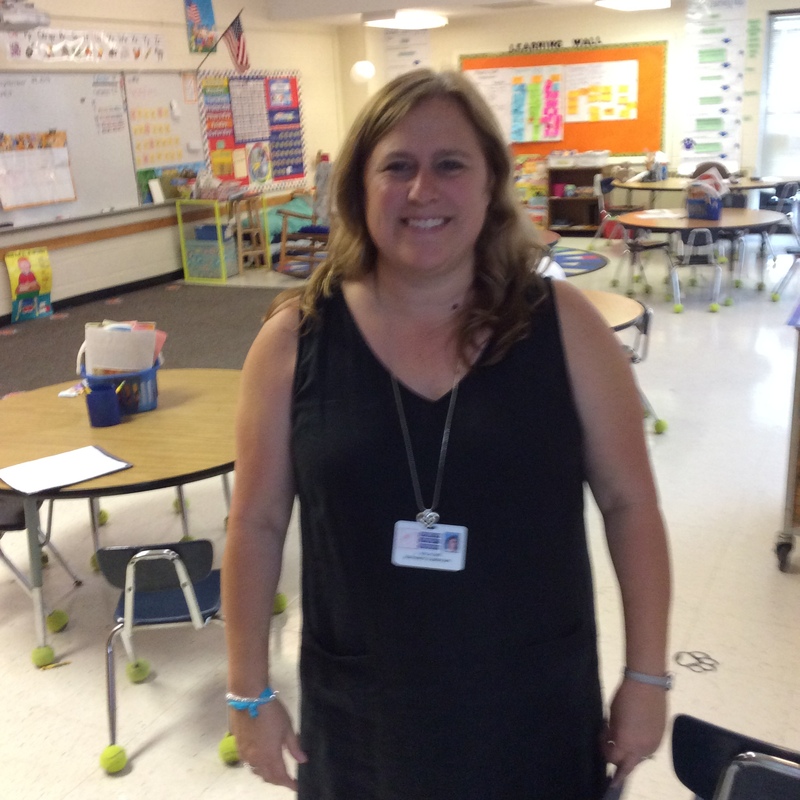 For Kindergarten Teacher Jill Walkowe, watching the kids grow doesn’t end at the school doors. 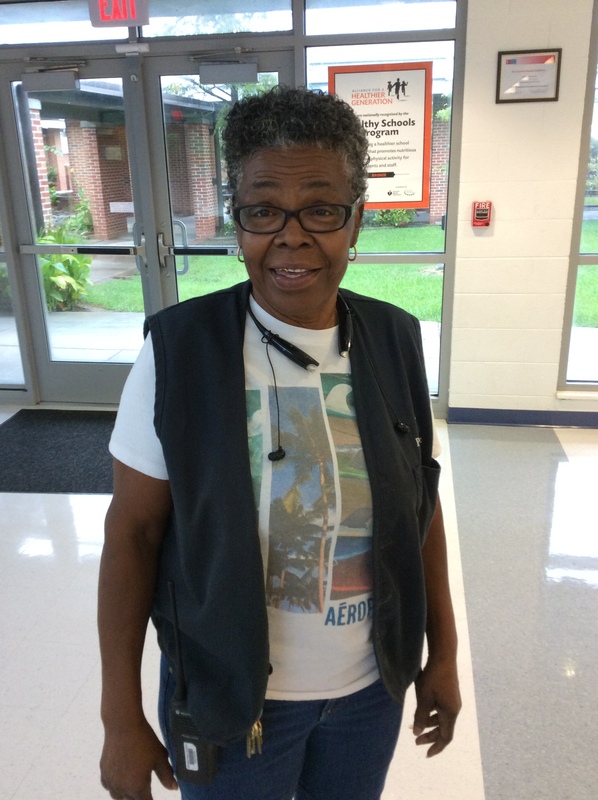 She loves Parkwood’s neighborhood feel, and really enjoys running into students in the grocery stores and walking around the community. Kathy McCullen, the schools Media Coordinator, also talked about the strong sense of community that surrounds the school. 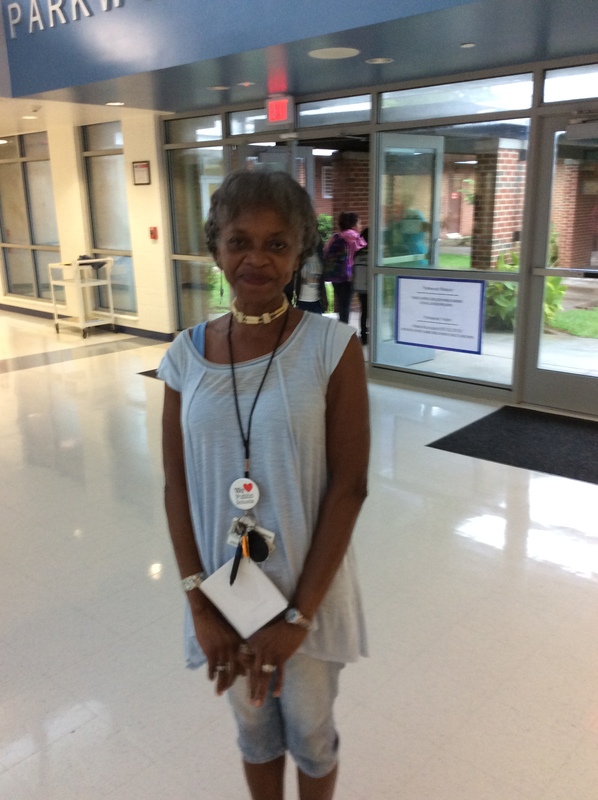 She’s been at Parkwood 8 years, and has seen the same families return to the school with different siblings over the years. Her library’s programming has kids, “super excited about books.” Last year, students and staff checked out 36,000 books from the media center. That’s right, 36,000, making Parkwood one of the highest circulation libraries in the county. These Panthers love to learn! Apparently, getting kids excited about learning is not magic. But it does require an ethic that some school communities eschew. Love and joy are as important as hard work and expertise, and the Parkwood staff’s got all of it in spades. Thanks for sharing your wonder with us Parkwood. I’ll come back for a bit of that “magic” soon. Previous What’s Good at Eastway? Next What’s Good at R.N. Harris?